Item # 319774 Stash Points: 7,995 (?) This is the number of points you get in The Zumiez Stash for purchasing this item. Stash points are redeemable for exclusive rewards only available to Zumiez Stash members. To redeem your points check out the rewards catalog on thestash.zumiez.com. 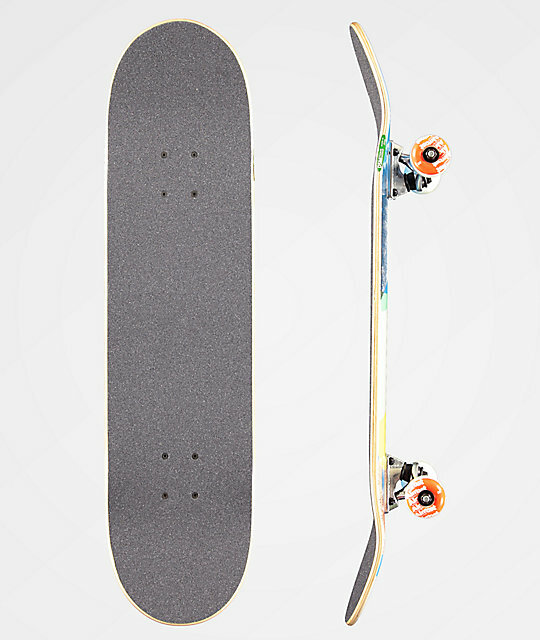 Get a perfect tool to start your skateboarding career with the Almost Organic 8.0" Skateboard Complete. This set up comes pre-assembled for convenience and has a deck with mellow concave for a stable learning surface. 52mm wheels help ensure excellent acceleration and the flat spot resistant formula means these wheels and this set up are made to last. Organic 8.0" Skateboard Complete from Almost Skateboards. Almost brand, flat spot resistant wheel formula. Note: Comes completely assembled and ready to shred. Note: Graphics may vary slightly from the image.